Looking for a USED 662514? Manufactured in North America, with North American built quality, Accurpress has 1,000's of press brakes and shears operating in every conceivable precision sheet metal forming and heavy plate fabrication environment. Accurpress offers an extensive range of press brakes and shears – combined with industry leading technological advancements and optional accessories – tailored to meet your fabrication needs. Press brake models range from 25 tons through 3000 tons to suit every press brake application. 174 ModelsView more about Accurpress America, Inc. 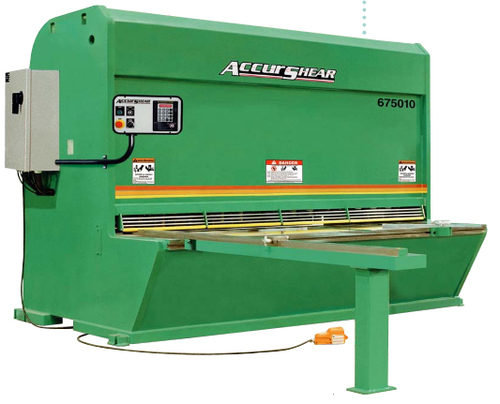 Looking to Purchase a New ACCURSHEAR 662514?